Michele de Lucchi was born in 1951 at Ferrara and graduated in architecture in Florence. During the period of radical and experimental architecture, he was a prominent figure in movements like Cavart, Alchimia and Memphis* (see below). His professional work has always gone side-by-side with a personal exploration of architecture, design, technology and crafts. 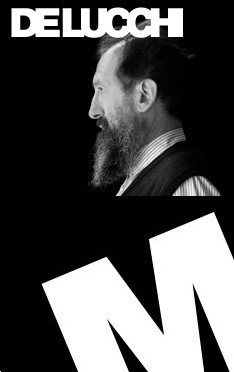 In 1990 he set up Produzione Privata, a small-scale concern through which Michele de Lucchi, unsolicited by clients, designs products that are made using artisan techniques and crafts. *The Memphis Group was an influential Italian design and architecture movement of the 1980s. The group was founded by Ettore Sottsass on 11 December 1980, and resolved to meet again with their designs in February 1981. The result was a highly-acclaimed debut at the 1981 Salone del Mobile of Milan. the world's most prestigious furniture fair. The group, which eventually counted among its members Michele de Lucchi, Matteo Thun, Javier Mariscal, Marco Zanini, Aldo Cibic, Andrea Branzi, Barbara Radice, Martine Bedin, George J. Sowden and Nathalie du Pasquier, disbanded in 1988. Named after the Bob Dylan song Stuck Inside of Mobile with the Memphis Blues Again, the movement was a reaction against the post-Bauhaus "black box" designs of the 1970s and had a sense of humour that was lacking at the time in design. Prepared to mix 20th century styles, colours and materials, it positioned itself as a fashion rather than an academic movement, and hoped to erase the International Style where postmodernism had failed, preferring an outright revival and continuation of Modernism proper rather than a re-reading of it. 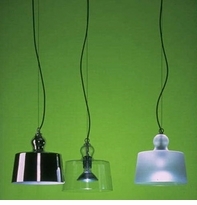 While designers such as Philippe Starck were influenced by Memphis, the continuing rise of minimalism in the 1990s saw a return to 'seriousness'.